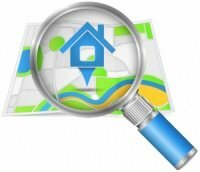 We’re Looking For Local Lombard IL House Finders – Earn Good Money – Join Our House Finders Program FREE Below Today! Hi! Here at Kendall Partners Ltd we’re looking for people locally here in Lombard (and surrounding areas of IL) who can help us find houses that we can buy from home owners who need to sell. Who Is Kendall Partners Ltd And What Is Our “House Finders Fee” Program? Over the years we’ve developed a great system for helping those homeowners in distress out of that situation through our local Lombard House Buyer Program. In addition, one of our missions is to beautify Lombard one neighborhood at a time by fixing up properties and getting great home owners into them. This is where we need your help (and how you can earn up to $5k per month… if you hustle) finding houses that fit what we’re looking for here in the Lombard area and surrounding areas… and sending them our way in our House Finders Cash Incentive Program (some people call it a “Bird Dog Program”). Join our Lombard House Finders Program below and send us the details… we’ll take it from there. After you join our Lombard Area House Finders Program (for FREE on this site) we’ll train you on exactly what to look for and how to submit the properties to us. I am very happy to recommend Kendall Partners Ltd. to anyone involved in real estate transactions. Jeff and Kevin were very professional and were able to handle our home sale efficiently and effectively. My wife and I needed a quick sale of our home to make possible a life transition. I was absolutely astounded at how quickly Kendall Partners Ltd. was able to accomplish this sale. They offered us a very fair price for our home, and from beginning negotiations to closing was in 10 days! I’ve never heard of anyone closing a house so quickly. Kendall Partners Ltd made our transition not only possible, but smooth and easy. Jeff and Kevin are men with integrity, and I heartily recommend them to anyone with a real estate need.